GSTR-9 form is an annual return form to be filed once in a year by the registered taxpayers under GST including those registered under composition levy scheme. GSTR-9 consists of details regarding the supplies made and received during the year under different tax i.e. CGST, SGST and IGST. In simple word GSTR-9 is a reconciliation of GSTR-1 and GSTR-3B. The Central Board of Indirect tax and Customs (CBIC) has issued the format of annual returns under the Goods and Service Tax (GST). The Taxpayers have to file their first GST annual returns pertaining to the Financial Year 2017-18 by December 31, 2018 but by press release dated 7th December, 2018 extended the date till 31st March, 2019. 2. The competent authority has decided to extend the due date for filing FORM GSTR-9, FORM GSTR-9A and FORM GSTR-9C till 31st March, 2019. The requisite FORMs shall be made available on the GST common portal shortly. Relevant order is being issued. GSTR 9 should be filed by the regular taxpayers filing GSTR 1, and GSTR 3B. GSTR 9A should be filed by the persons registered under composition scheme under GST. The GSTR–9A is a simplified annual return filed by business owners who have opted for the Composition Scheme under the GST regime. This return includes all the quarterly returns filed by the compounding dealers/vendors in that financial year. GSTR 9B should be filed by the e-commerce operators who have to filed GSTR 8 during the financial year. 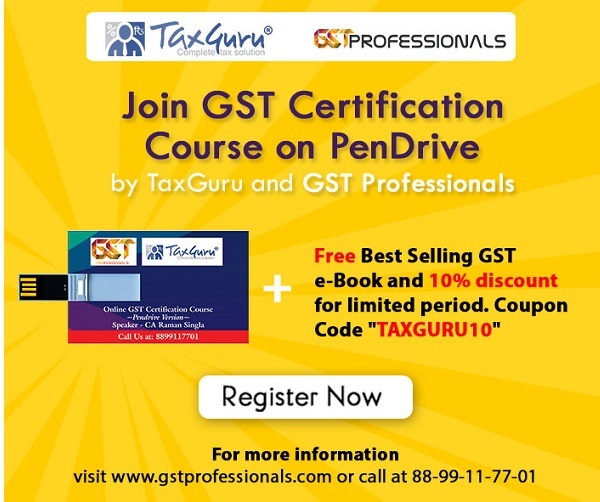 GSTR 9C should be filed by the taxpayers whose annual turnover exceeds Rs. 2 crores during the financial year. All such taxpayers are also required to get their accounts audited and file a copy of audited annual accounts and reconciliation statement of tax already paid and tax payable as per audited accounts along with GSTR 9C. Late fees for not filing the GSTR 9 within the due date is Rs. 100 per day per act up to a maximum of an amount calculated at a quarter percent (0.25%) of the taxpayer turnover in the state or union territory. On a combined CGST Act, 2017 and State / Union Territory GST Act, 2017 a late fee of Rs.200/- per day (Rs. 100 +Rs.100 amount of half percent (0.25% under the CGST Law + 0.25% under the SGST / UTGST Law) of turnover in the State or Union Territory. The extension doesn’t cover gstr 9b which needs to be filed by eCommerce operator. Does this mean, the due date for this form is still 31st Dec 18? Point to be noted is none of the Annual return is enabled in the portal till now. Actual time limit could have been 9 months if it was enabled on April 2018 for FY 2017-18. No Need of Extension. It is win-win situation for the government by issuing this order, as they are able to hide their own fault. Yes, agree with you. Still GSTR-1 and 3B is not properly working.. Still error are coming. small shopkeeper who’s turnover is less than 10 lack then which type of form applicable for annual return.